Passion projects are typically endeavors outside of your normal day job that give you satisfaction, happiness, and energy, usually leading to learning and growth. I was recently presented with the opportunity to combine my skills in graphic design, photography, dance, marketing, relationship building, videography, and PR in a way that has never been so rewarding. Altered Archives was designed to challenge the commonly held notion that we can’t change the past by exploring the malleability of memories. 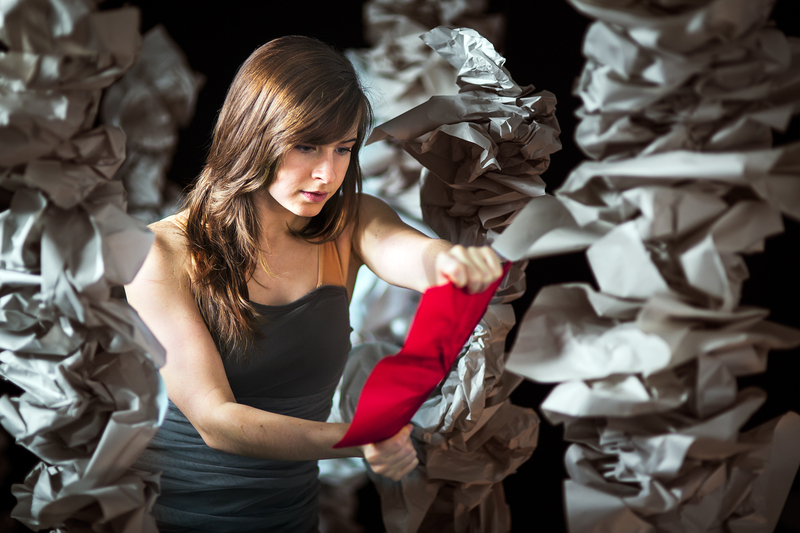 How we choose to retell our story influences the trajectory of our lives and ultimately our own identity. Memories are not static snapshots, they’re malleable facets of our mind whose shape ebbs and morphs with each influence that spills into our consciousness. After researching memory science and psychology, boiling down one concept to create the show about and outlining a basic structure, I got down to business marketing the show. In my spare time, of course. This case study gives an extensive look at the steps that were taken to successfully market the premiere of a dance show within the structure of a performing arts festival. It will take you through the initial imagery creation with a photo and video shoot to our strategies for the web and social media, how drinking Prosecco with actors can be effective market research, how press releases were distributed and resulted in several blog posts, and how we earned media coverage from top area news sources, including Washingtonian Magazine and NBC 4. The Fringe Festival included 122 shows in 2015, necessitating the organizers to focus on promoting the month long event as a whole. Each group was left to promote their individual show separately. Motion X Dance is a young company with a small, loyal following, so in order to fill all five audiences, effective marketing efforts were critical. This “fluff” concept became an integral part of the scenery, props, and video. We constructed towers of crumpled paper that illustrated the multitudes of memories we all keep in storage. Our sense of self is built off of our memories, be they life-changing events or smaller, seemingly less important ones that repeat enough times to leave a significant mark on our identity. All hands on deck setting up the promotional photo shoot. The photos that came from the shoot were beautiful and ended up being among our best promotional assets. I served as the art director and photographer and was assisted by my husband, Mike, Stephanie, and of course, all the dancers. Altered Archives promotional photo. Dancer: Elysia Greene. Photo by Lindsay Benson Garrett. We also did a video shoot in an empty warehouse (we later found out was only accidentally unlocked. Whoops!) I shot the promo video on a Canon 5D with a few studio lights. I quickly rekindled my long lost relationship with Adobe Premiere and we were off to the races. To illustrate the unique duet of video and high quality dance, I put together the teaser video featured above. Even though the video is only one and a half minutes long, we have found attention spans are getting shorter every day. That’s why we created even shorter videos and animated images specifically for social media. Our most successful video (see below) turned out to be a 12 second clip of our dance-accompanying video. It received over 1,500 views and had the most shares of any of our content. 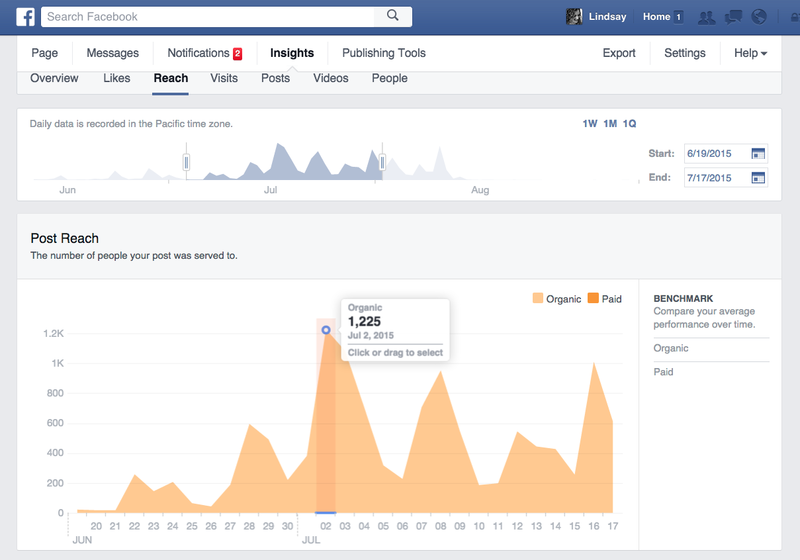 Our most popular social content, shown here on Facebook. Even without all the clatter of 122 Fringe shows competing for ticket sales, first impressions matter. I knew that with my graphic design background we could set ourselves apart with a striking website. Our marketing efforts started well before tickets went on sale. The website served as the main destination for information on what one could expect to see on stage, how to find tickets, and how to get to the venue. In deciding how to tackle the important online presence, I opted for a polished, minimal web design. Since time and money were limited, I found a great responsive HTML template by HTML5 UP who created it for free use. It enabled us to get our website up in a day—the same day, in fact, that we settled on a show title. 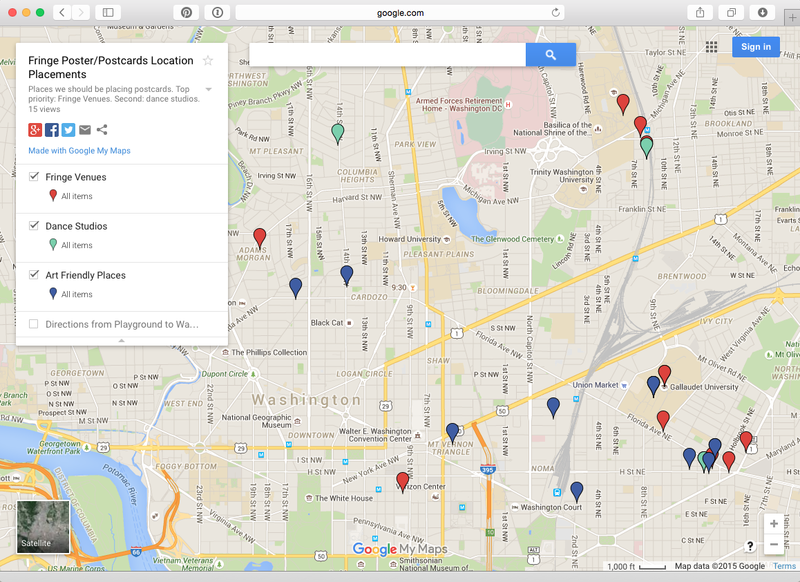 Within 24 hours we had a new domain, website, and email powered by Google Apps for Work. The Altered Archives homepage loading animation. The most important promotional medium for us was social media. We tailored our strategies based on the type of followers on each platform. By heavily featuring the dancers and people involved in the show, we humanized content that might otherwise have been brushed off as a coffee break distraction. Daily postings of interesting and easily digestible content provided consistent opportunities to convert clicks into ticket sales. We were one of the first Fringe shows to tweet regularly which established us early on as great partners for cross promotion with other shows. Many of the interactions on Twitter were with other performers. The Capital Fringe Festival is very community oriented—we made lots of new contacts and friends throughout the entire season. Our consistent support was reciprocated and clearly visible in audience attendance. Facebook’s community is more personal than Twitter with its emphasis on relationships-driven content. 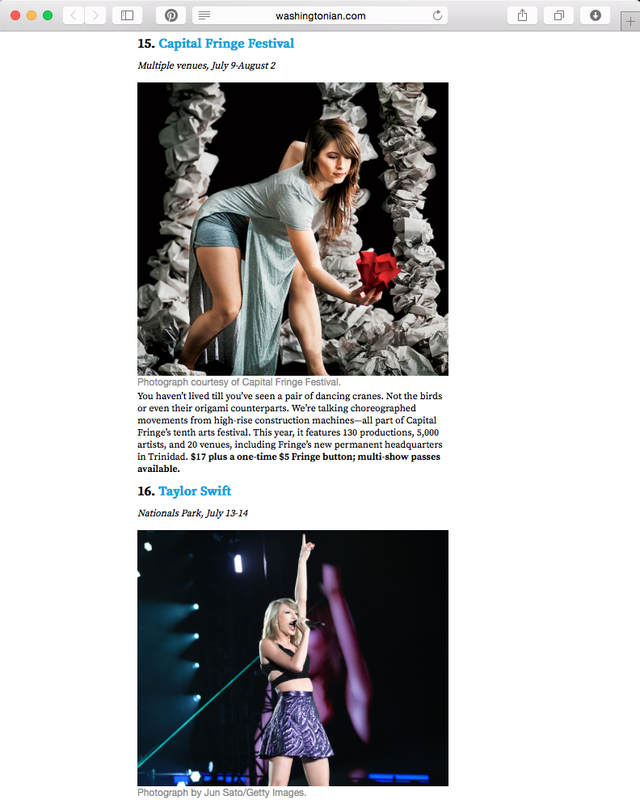 Our most popular content on this platform was tagged photos and videos of the dancers. Content was scheduled for daily posting via Buffer or, if it was a video, directly through the site, as Facebook algorithms show native content to users more often. Along with the usual social suspects, we listed the five show dates on various local event listing sites. This broadened our reach, drove traffic to our site, and targeted people specifically looking for ideas for date nights and other fun outings. I wrote a press release that contained a short, compelling summary of the show, insight into what made it unique, and information about how and where to buy tickets. 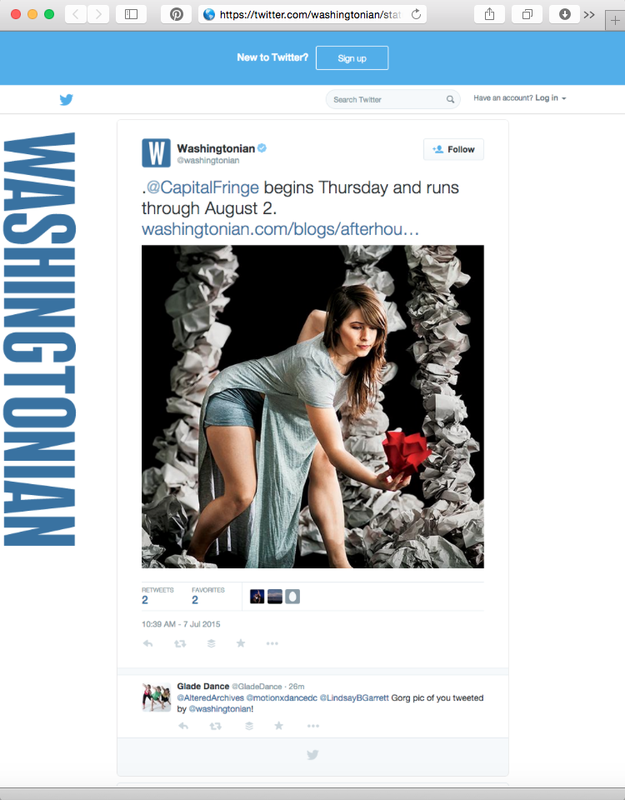 It was distributed to local arts, theater, and dance writers as well as blogs that cover nightlife and culture near H Street, the theater’s DC neighborhood. Because the show featured a crossroads between visual arts and dance, we were able to expand our reach beyond dance-only audiences. Pitch emails were personally tailored to each journalist after researching the types of stories they typically wrote and the content that interested their readers. Essentially, this email had to quickly convince them that writing about Altered Archives would make them look good. Along with an invitation to the preview show and opening night, we provided bulleted summaries of what made the show different, customizing the content based on their focus. I mentioned before that our marketing photography turned out to be an crucial asset, being that it was unusual and beautiful. When the press covered the festival as a whole, the Altered Archives promo photo was often chosen as a quintessential representation of the low-budget originality that one expects to see at the Fringe. I commend the Fringe staff for giving so many wonderful resources and thorough support to the participating artists. The festival provided countless networking, educational, and marketing opportunities to all of the participants. The main promotional event was a private preview screening for press and VIPs. Only fifteen of the 122 productions were invited to perform a four minute excerpt, resulting in a delicious sampler platter of intriguing shows, some of the best the Fringe had to offer. Altered Archives was invited to be the closing act of this show. We must have left a good taste because for weeks afterwards we kept discovering photo and video snippets on social media. 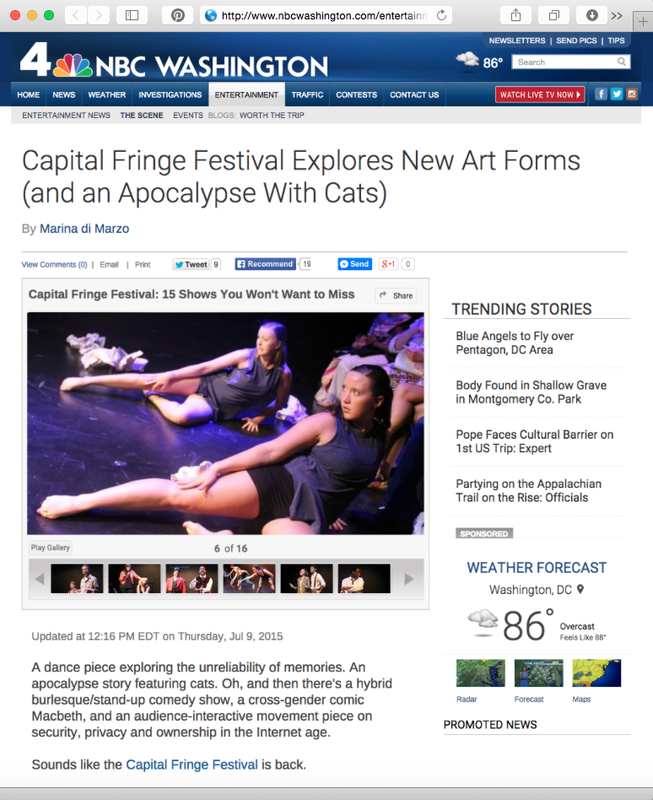 Read NBC 4’s coverage of the Fringe preview show. I designed a series of posters and postcards to showcase the skill of the dancers and the theme of the show. These were to stand out amongst the hundreds of other posters hung in the festival box office and motivate audiences to buy tickets. 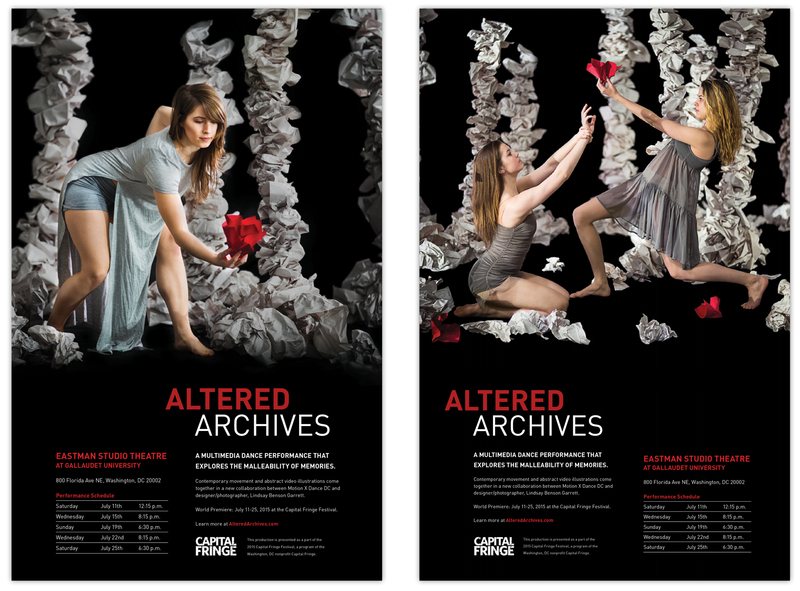 Altered Archives poster photography and design. Altered Archives postcard photography and design. We hung posters in every window on H street. Our postcards were so popular we had to reprint twice. Map of locations for distribution of posters and postcards, color coded by category. Priority was given to dance studios, then Fringe venues, and finally art-friendly businesses nearby. 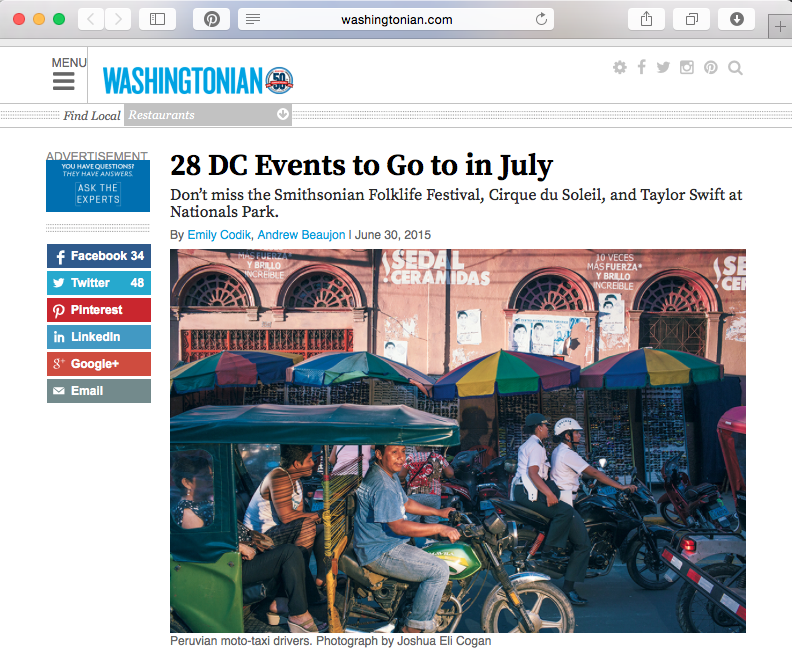 Joel Markowitz runs the DC Metro Theater Arts blog which is a boon for the local performing arts community. He offered affordable advertising rates to participating Fringe artists as well as advice, support, coverage, and reviews for every show. We took him up on this generous offer and gained extra traffic from the animated ads I created. Animated ads based off our most popular video. Face-to-face communications were a critical piece of our marketing efforts. 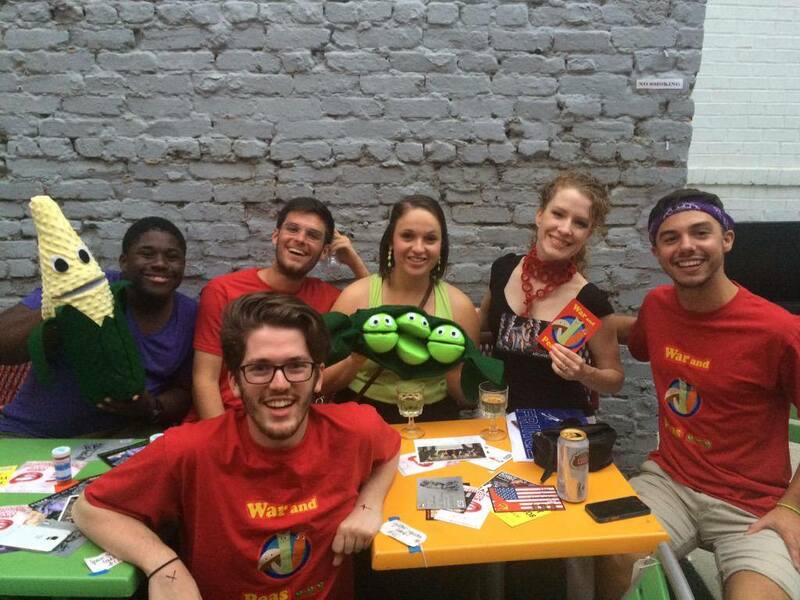 By attending all the Fringe-hosted parties and actively building relationships, we were able to create partnerships with newfound friends. This also allowed for us to test marketing messages and refine them based on what consistently earned the best reactions and inspired intrigue. All our hard work paid off—we had great attendance for all shows, good buzz on social media, and we even made a (small) profit. Altered Archives also received stellar reviews and was listed as one of the “Best of the Fringe” by two theater arts blogs. Would I recommend producing a Fringe show to someone else? Only if you’re completely crazy and willing to work day and night. If that’s the case, I can assure you it will be something that will always make you proud. There’s no faster way of learning how to manage an effective multi-pronged marketing campaign with no budget and very little time than a passion project like this with a tight deadline. It would not have been possible without ruthless prioritization, persistence, and support from friends and family, especially my husband. As a result of our successful debut at the Fringe, Stephanie and I have been tapped to partner with a new nonprofit that is working to raise five million dollars for dance in the D.C. area. Stay tuned for more details on this exciting venture. 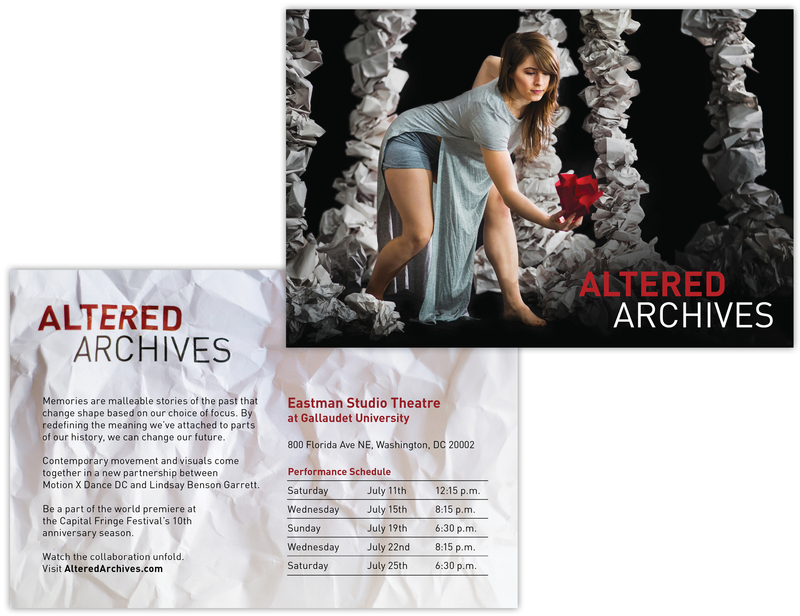 If you missed the premiere of Altered Archives in July, there’s another chance to see this acclaimed show in February 2016 in D.C. We will post more details this month! 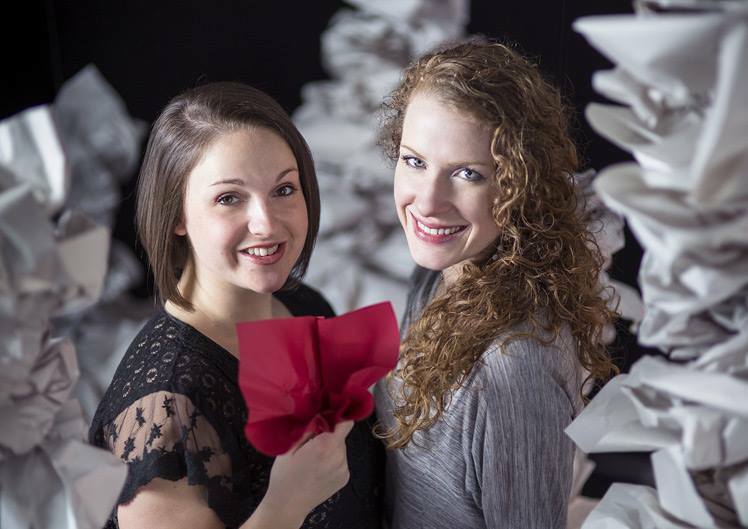 Stephanie and Lindsay, producers of Altered Archives.